Although ANZ Bank chief information officer Anne Weatherston last week made a number of quite substantial statements in a wide-ranging speech about technological change in the financial services sector, for many writers who listened in it was just one comment which the executive made which stood out. And the headlines reflected that fact. “ANZ Bank CIO still wary of cloud,” screamed ZDNet.com.au. “Cloud not suited to ANZ Bank: Weatherston,” echoed CIO. iTWire put a timeline on Weatherston’s view of the new technologies: “Another five years for bank clouds: ANZ” and although Finextra didn’t attend, the publication still found room for its own version: “ANZ CIO cool on the cloud“. Even publications such as the AustralianIT, which took a more nuanced version of Weatherston’s speech, still gave the cloud comments quite an airing. Cloud, cloud, cloud. It’s a topic with which Australia’s IT industry is currently obsessed with, and for good reason. The clutch of relatively familiar technologies which have been relabelled and integrated into the new cloud reality have mostly been around for years, but have only recently found the true acceptance with customers that they’ve been seeking for most of that period. Reflecting this acceptance, end user organisations, analysts and the media are currently blanketed with messages about how cloud is going to change everyone’s lives. Every vendor’s technology — no matter what type of solution it is — hardware, software or service — now features some kind of “cloud” capability. It’s “cloud-ready”, it can “integrate with the cloud”, or it’s even something or other “dot cloud”. In this context, every time a significant industry figure makes motherhood statements such as the ones which Weatherston made last week, it seems the natural thing to do seems to be to position them into either the positive or negative side of some kind of never-ending battle. Although she didn’t provide any real detail at all about ANZ Bank’s approach to cloud computing, Weatherston’s headline cloud statement — that the cloud might suit SMEs but wasn’t yet completely relevant for “large, complex banks at this point in time on a large scale” — saw her placed on the side of the verbal war where cloud doubters lie. Doing so with Weatherston allowed those writing about the issue of cloud adoption in Australia to classify and interpret the CIO’s comments. Because the executive expressed doubt about the cloud, a whole string of prevailing narratives — Richard Dawkins calls them memes — can be instantly associated with the CIO’s words. The idea that the Australian Prudential Regulatory Authority is broadly against the cloud. The ongoing debate about what data can be hosted on- and off-shore. The perceived general reluctance by sectors generally regarded as conservative such as financial services and government to host their data outside Australia, or in multi-tenanted environments, or even, in some cases, outside their own datacentres. Fitting Weatherston and other ‘cloud-doubter’ narrative also allows writers to position them in a kind of imagined conflict against those individuals and organisations perceived as pro-cloud. Thus, it is extremely easy to construct Westpac CIO Bob McKinnon, whose organisation is perceived to be embracing the cloud, as standing on the opposite side of the fence. Standing with McKinnon in this narrative are fellow cloud enthusiast end user organisations like Komatsu, Visy and Curtin University, as well as vendors like Salesforce.com, Google, Microsoft, Telstra,CSC and Fujitsu. The cloud innovators — those who are taking technological development forward. And of course, there are the vendors perceived as cloud doubters as well — SAP, Oracle, IBM and so on (although they may protest). The IT industry loves this sort of narrative, and there have been a thousand different versions of it over the past decades. To start with, we had Apple versus Microsoft. Then, as Apple’s fortunes waned, the debate turned into Linux versus Microsoft. We had, and continue to have, mainframe versus mid-range server, SAP versus Oracle, Android versus iPhone and of course, who could forget fixed broadband versus wireless. And after a few years, we’re now having Apple versus Microsoft all over again. The reason the industry loves these kinds of debates is clear: Often, technologies compete with each other, and it is not clear which one will emerge as the dominant force. Usually there are advantages to each, and usually the battle between the pair comes down to a paradigm of openness and compatibility (think Linux) versus a more integrated and powerful locked down environment (think Oracle). However, what I want to argue today is that when it comes to cloud computing, utilising such a yes/no narrative is not useful. Let’s take Weatherston’s comments last week. All the CIO truly told attendees at the lunch at which she spoke, held by the Committee for the Economic Development of Australia, was that she thought cloud computing would be more attractive for small to medium businesses and that the industry’s regulators were still examining the tranche of cloud technologies. ANZ had dabbled in software as a service platforms like Salesforce.com, and was continuing to virtualise its infrastructure, she added. But that was really about it. The difficulty with this is that Weatherston’s comments, in general, could easily be applied to any major Australian organisation at all. I would lay odds that 100 percent of major Australian organisations have already rolled out virtualisation in their datacentres and a pretty similar number have experimented with software as a service platforms like Salesforce.com or Google Apps. In fact, Weatherston’s views could as easily be accurately attributed to “pro-cloud” organisations like Westpac, Visy and Curtin, as they could be to “cloud doubters”. And to say that cloud computing technologies are more attractive to SMEs … well that’s true of virtually any technology: Because SMEs simply have less legacy infrastructure to worry about, and have much more flexibility when testing new technology. Worse, Weatherston’s don’t tell us anything at all, really, about ANZ Bank’s attitude towards the diverse bunch of technologies which makes up “cloud computing”. We don’t know to what extent ANZ Bank is pursuing infrastructure as a service, software as a service, private cloud, cloud-based collaboration, public cloud or any other type of cloud. To be honest, given how complex the technology operations of Australia’s major banks are, I do expect that cloud computing solutions are definitely part of the ANZ technology mix in many different ways. Certainly, to give one example, there is every reason to suggest that her bank, after all, is investigating infrastructure as a service options linked with its massive telco contract with Optus. And I’m sure shifting its email into one cloud or another is on the table. As we’ve seen with Westpac, AMP and others, such a move is pretty much a no-brainer. However, at the moment, we don’t know anything about any of that. With this in mind, even if you accept the pro-cloud/cloud-doubter narrative which is dominant in Australian enterprise IT as legitimate (which I don’t), realistically it’s impossible at this point to say where Anne Weatherston sits in that debate. Her statements last week were not granular enough for us to know. And herein lies the problem with discussing “cloud computing” in general. As soon as you mention the words “cloud computing”, you are locking yourself into a debate which has no meaning. Previous IT industry stalwart arguments — for example, Linux versus Microsoft, or Android versus iPhone — at least were based on one discrete set of technologies, one ecosystem. You could compare and contrast the platforms involved and argue about them. But when it comes to the cloud, the same term is used to discuss advanced datacentre modernisation as is used to discuss outsourced email a’la Gmail … when the two are completely different things. I’ve previously argued Australia’s cloud computing discussion needs to become more granular, and I’ve seen encouraging signs of this over the past few weeks, especially from organisations such as the Australian Government Information Management Office. Let’s keep that trend going. The cloud debate is not like the IT industry’s debates of the past. We shouldn’t let our intellects slide down that divisive path … it’s not useful for any of us. You just gave me a million-dollar idea… I’m going to register the “.cloud” vanity TLD as soon as those become available! Who wants “email.cloud”? Who wants “storage.cloud”? “photos.cloud” “movies.cloud” “security.cloud” — the list is endless and I can charge a pretty penny for each! “The Cloud”. Doesn’t that phrase make a little bit of sick come up your throat? BTW, “The Cloud” and “Cloud computing” are two different things. “The Cloud” is more an “For Dummies” name for what has existed on the net for ages. Sort of like “Freeview” for DTV, different name same thing. I think when you say “the cloud” you’re talking about Microsoft’s recent advertisements on the subject … “to the cloud” and so on? I have seen it yes, still “the cloud” and “cloud computing” are two different things. Mixing them like they are interchangable would piss off anyone doing cloud computing. Using the term “the cloud” makes every programmer of internet enable apps hate sales people a little more. The term tends to also be used by people whose skills went rusty years ago when they moved into middle management or by consultants who like to use the latest buzz word. Actually the usage of the term seems to be evolving. Originally “The cloud” was the internet and other attached networks. Putting something “In the cloud” was storing it on like an ftp server or such. “Cloud computing” was distributed or remote computing accross the network/internet. 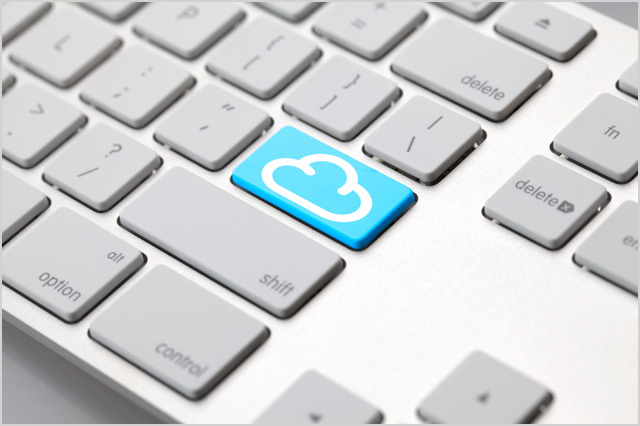 Now it seems people are starting to use “The cloud” to include cloud computing. It does tend to mess up what is distributed compting what what is remote data storage though. To be fair she didn’t really say anything else interesting that she hadn’t already said before.